Varsity volleyball coach at East Lake High School for 15 years. During his tenure he compiled a 311-106 record, won 5 District Championships, 3 Regional Championships, 3 Final Four appearances, including the 2002 Class 5A State Runner-Up and the 2010 Class 5A State Championship. Terry was the 2001, 2002 and 2010 Pinellas County Coach of the Year. His players have earned numerous awards including County Player of the Year, All-County, All-Conference, All-State, and numerous All-Tournament teams. His players have gone on to play Division I, Division II, and also Junior College volleyball. Every player that he has coached that has wanted a scholarship has received one. In club he has coached 3 AAU All-Americans and been named Outstanding Male Coach for the Florida Region and is CAP 1 certified. 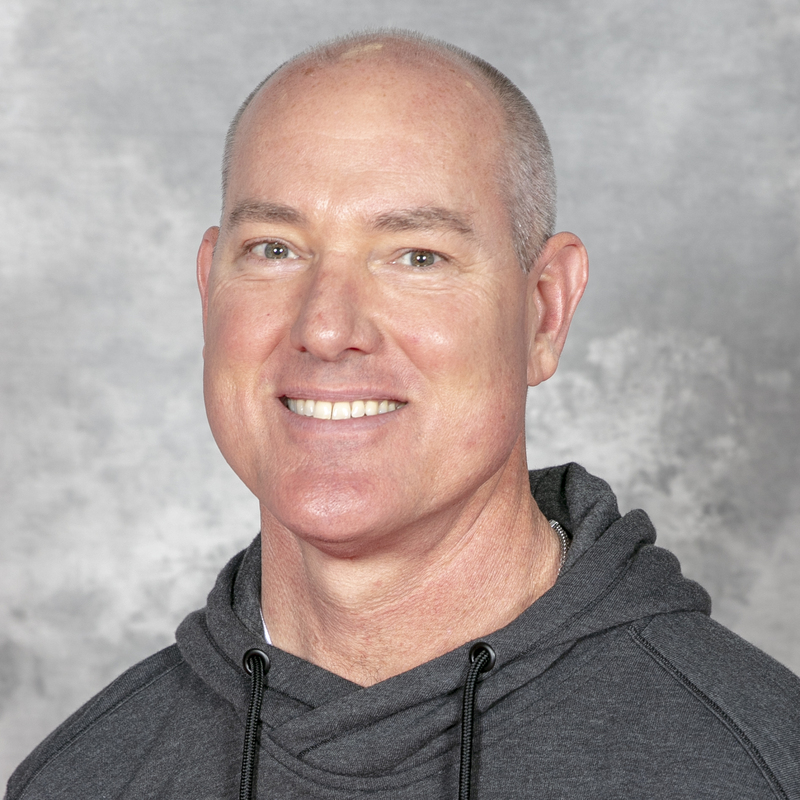 In the past, Terry has been a coach for the USAV Florida Region’s High Performance Team Florida, training the most elite players in the state of Florida. In 2009, Terry’s 15 Elite team won the 15 Club division at The Big South National Qualifier, earning a National bid to JO’s and finished 6th in 15 Open at The Northeast National Qualifier, earning Heat’s 1st Open Bid to JO’s. In 2011, Terry’s 17 Elite team won the 17 National division at The Northeast National Qualifier, earning a bid to the Junior National Championships. In 2013 Terry’s 16 Elite team earned an American Bid at the Florida Regional Qualifier where they went on to compete in the Junior National Championships in Dallas, Texas. Barb has assisted Terry in every aspect of running the club since its inception in 1999. Her duties are basically to know everything and be able to do anything at a moment’s notice. Barb coached the Junior Varsity team at East Lake for several years and has also worked as an assistant coach with the Florida Region’s High Performance Team Florida. She is also CAP 1 certified. Terry & Barb’s son Tyler, is a Senior at Indian Rocks Christian School. Joined Pinellas Heat in 2001 as a result of her marriage to Mark Foster. She was the Junior Varsity coach at Clearwater Central Catholic in 2001-02 while also assisting the Varsity team. 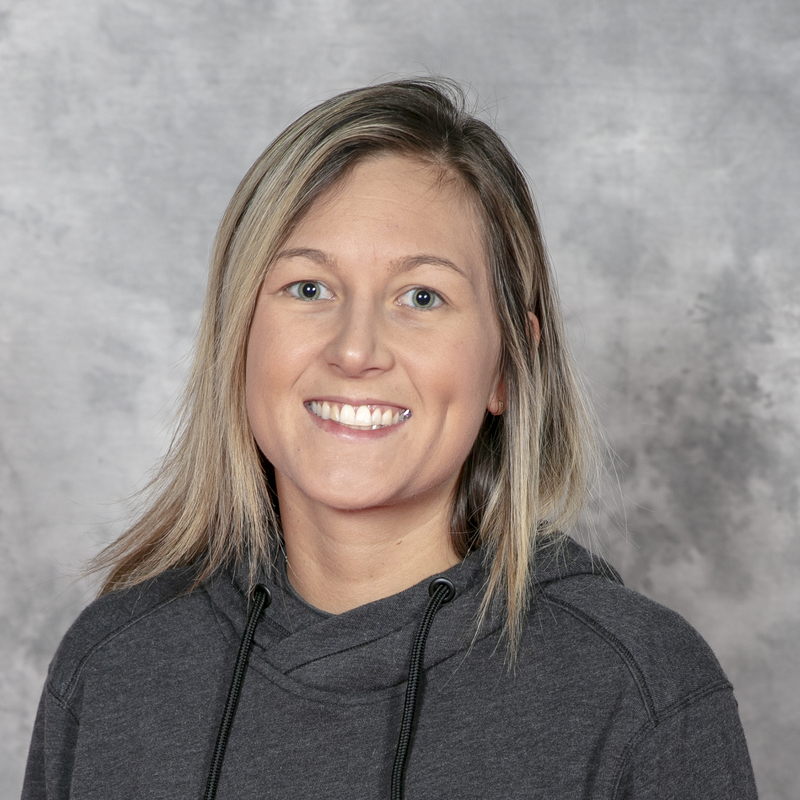 Kim is CAP I certified; the past 14 high school seasons she has been an assistant varsity coach at Indian Rocks Christian School where she is also the JH coach. 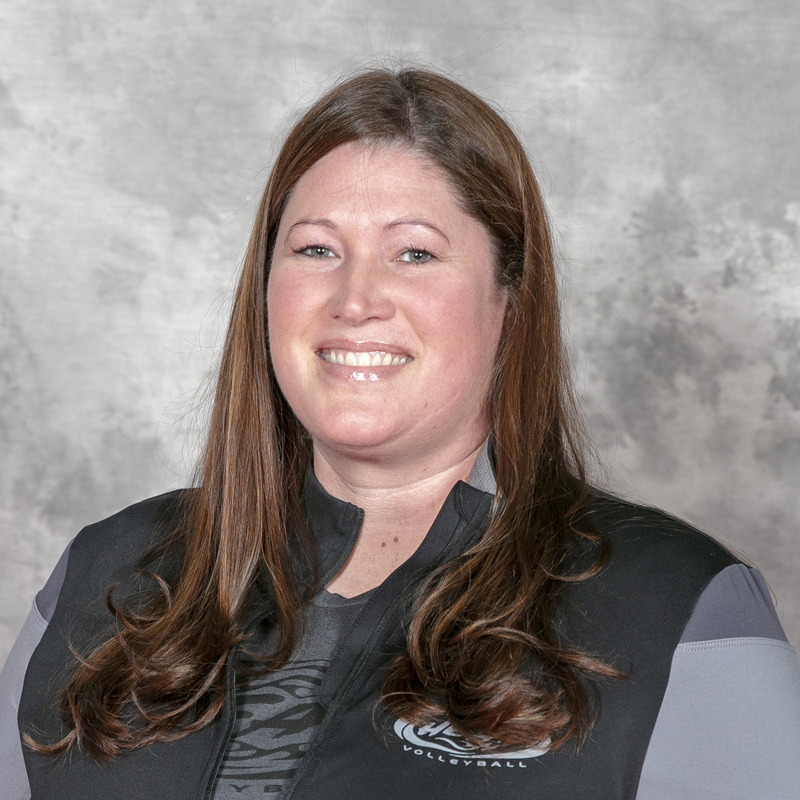 Kim’s primary focus is to handle the individual financial accounts for each Heat family in addition to being our Program Coordinator which includes coordinating private lessons, clinics, camps, and leagues. Her attention to detail assures each family that their accounts will be well maintained. Handles Pinellas Heat’s uniform & apparel orders, helps with a lot of the behind the scene action, in addition to our social media pages. This will be Kelleigh’s 16th season with Pinellas Heat. She began playing volleyball at the age of 10. She graduated from East Lake High School where she played four years on the varsity volleyball team under the expertise of Terry and Barb Small. While playing for East Lake, she led her team as one of the captains her sophomore, junior, and senior year to two Regional Championships and were the 2002 Class 5A State Runner Up, where she was also recognized and named to the Class 5A All State First Team. In 2010 she assisted Terry and Barb Small at East Lake High School when their team went on to win the Class 5A State Championship. She is back assisting alongside Terry at East Lake this season. During her club years, Kelleigh also played with Pinellas Heat’s first team in 2000. During the 2004 season, she was awarded by the USAV as the Outstanding Female Coach of the Year. 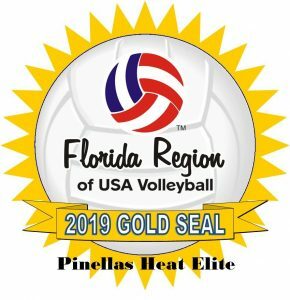 The 2011 club season her 14 Elite team finished 2nd in the Florida Regional Qualifier where the team earned a bid to compete in at the Junior Nationals and finished tied for 3rd in the American Division. When Kelleigh isn’t helping us, she’s at home with her husband Tyler where their adorable set of twins, Grayson and EmmaLeigh who turned one in August, keep them very busy! This will be Bryan's 8th season with the Heat. Along with coaching club and mini-club teams he heads up the Friday night clinics, 12U Camps, and Heat Kids. He's also the Junior Varsity Head Coach and Varsity Assistant Coach at East Lake High School. He has a real passion teaching the fundamentals of playing volleyball and preparing them with the tools they need to be successful volleyball players in the future. He also enjoys coaching beach volleyball and two summer’s ago started Ohana Beach Volleyball. He and his wife Tara have 3 children, Hannah, Maddie and Mark. Hannah is a graduate of East Lake High School and is currently attending Florida Gulfcoast University, Maddie is an freshman at East Lake High School, and Mark is a 7th grader at Skycrest. This is her first season coaching after playing volleyball for eight years. She started at Gulf Coast Juniors when she was 10 years old, then moved to Pinellas Heat at age 12 where she played under Kelleigh (O’Neill) Purtill and then Terry Small. She played two years on the varsity volleyball team as the starting setter as a freshman and sophomore at Countryside High School before transferring to Clearwater Central Catholic where they went to the State Final Four two years in a row, winning the 2014 3A State Championship under head coach Stephen Shepard. She was All-Pinellas County First Team selection as a senior, Honorable Mention as a junior, and played on the Pinellas County All-Star Team. Lindsey has been playing competitive volleyball for 8 years. During most of her career she played as a middle and a right side but was trained in all positions making her a versatile player on the court and to her teammates and coaches. She's played club for No Name, DVT, and Gulf Coast which gave her a wide variety of coaching styles to learn from. She lettered at Palm Harbor University’s JV Volleyball team 2 years (captain) and Varsity 2 years. Her team won the PCAC championships each year and District Championships. She was able to make history along side her team at PHU in the farthest progression to states. She made the County All Star team as a middle and played along side countless D1 players. This will be Lindsey’s first year at Heat and she could not be more excited to contribute her love, knowledge, and expertise of the sport. 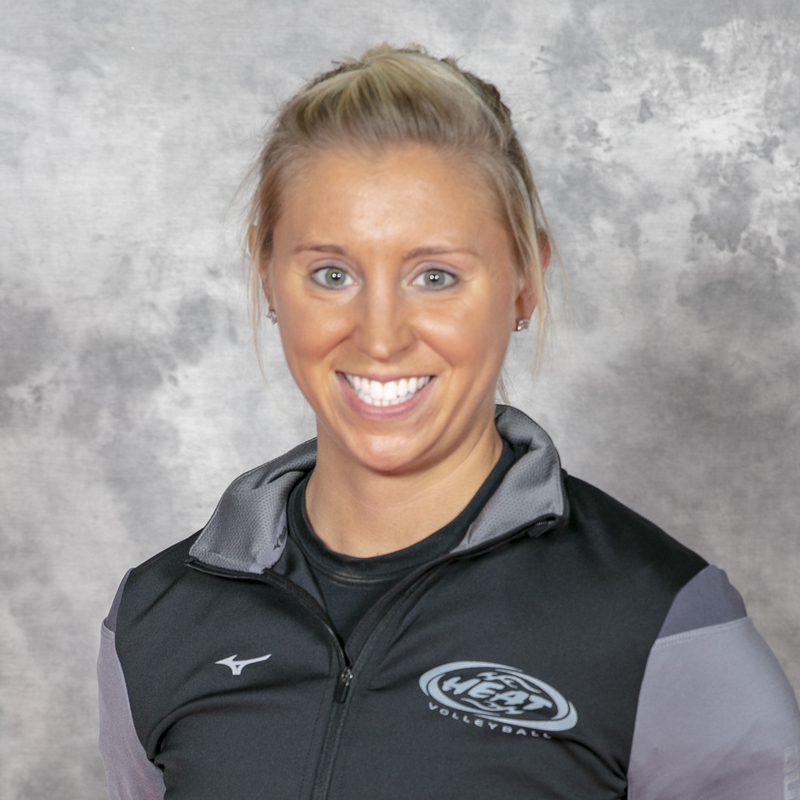 Emily is in her 13th year with Pinellas Heat but has been coaching for the past fifteen years in Missouri and Florida. 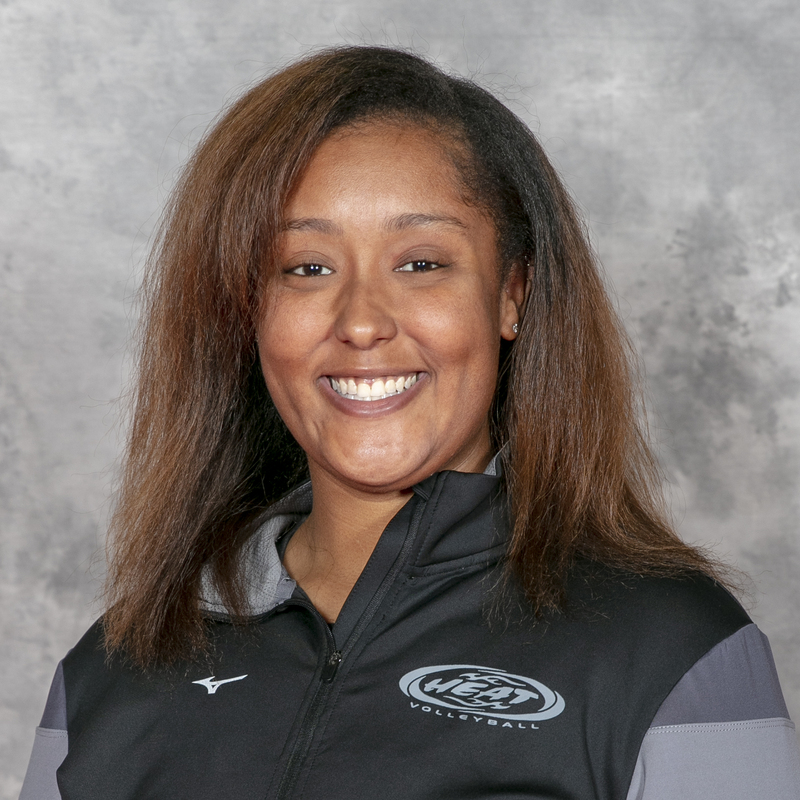 She attended Missouri State University 00′-04′ and was an Assistant Coach for the University of Missouri-Kansas City in 08′. Aside from playing and coaching, Emily also referees so she has a knowledge of the game from all aspects. She helps run summer camps, training’s, and assists where she’s needed. In 2011, every player on Emily’s 18′s team received a scholarship to play volleyball in college! David is a long distance runner in Beach and Indoor Volleyball. He played indoors for 30 years and outdoors for 35 starting in Minnesota and moved to Florida in 1990. 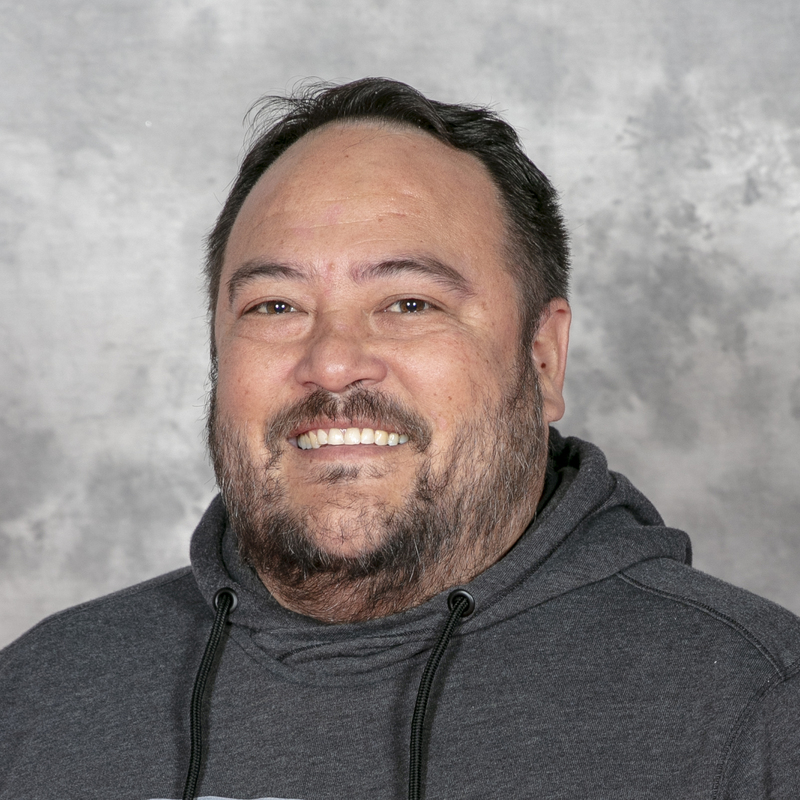 He has been with USA Volleyball outdoors as a BCAP coach since 2009, having been in the first to get a rating for coaching beach and has run over 25 tryout camps since 2009 as well. He was a coach in 2010 in Russia with a delegation of kids coaching for one month. He has coached at the USA HP Championships for 6 years and has produced 20 medals for teams he has coached. 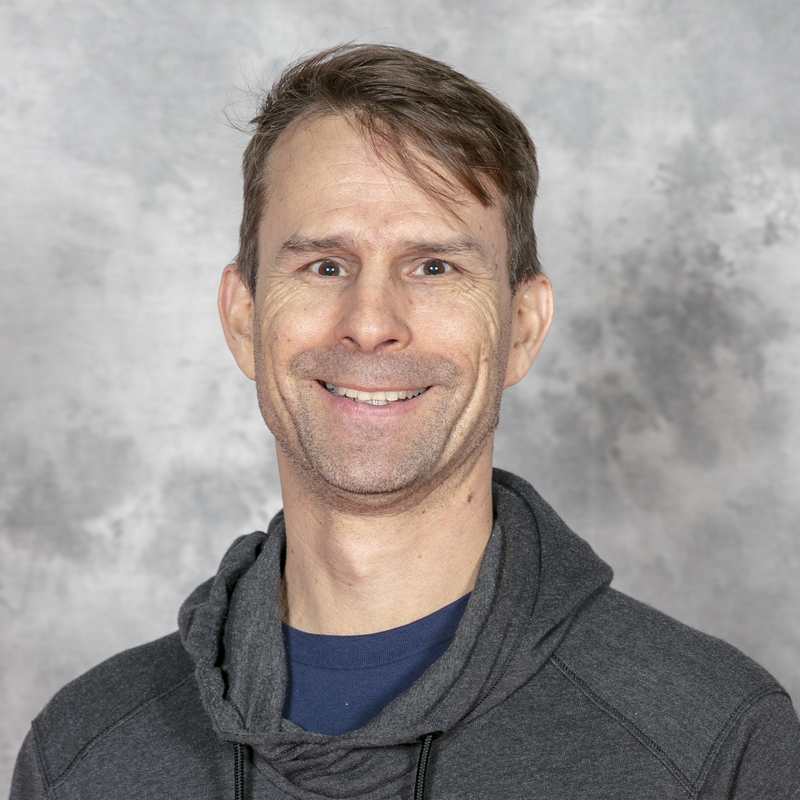 David has coached over 40 players in Collegiate Beach Volleyball and has also been the USA Beach East Coast Camp director for the past 7 years. His reach has now grown to the NCAA level where he has been the Tournament Director for the Championships for the pats 6 years. In 2017 , he joined fellow coach Mark Foster in assisting the IRCS Beach High School team being the 1st High School in Pinellas County to have a beach program. David just came off the USA Junior Beach Tour Championships as the Tournament Director. It was the largest junior beach event ever in the state of Florida. 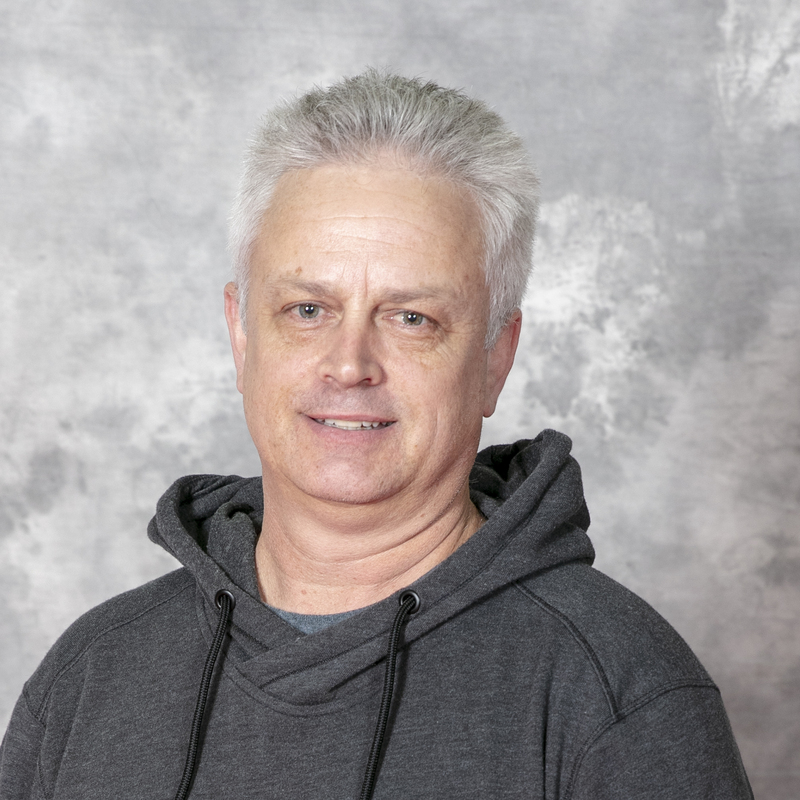 He is proud to now call himself part of the Heat family and looks forward to continuing the growth of beach volleyball for all players interested in playing. Scott comes to us from Ohio and grew up in Indiana. He is a proud Army Veteran and played volleyball for over 30+ years. His knowledge of the game includes both indoor and beach. He has a passion for coaching and sharing his knowledge of the game with his players. Scott has been with Pinellas Heat for 4 years now and has coached all ages, and many seasons he’s coached 2 teams! 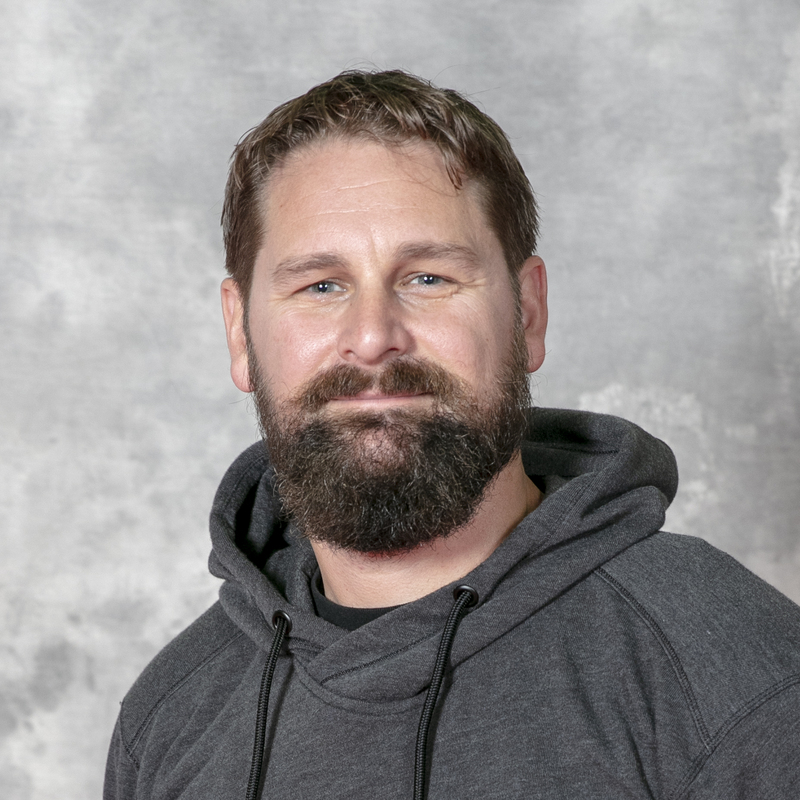 In 2018 he was the Assistant Coach for our 13 Elite who won the American Division at the Big South Qualifier earning a bid to compete at the Junior Nationals in Detroit, Michigan. He has been the Assistant Coach at Clearwater High School since 2017 where the Tornadoes were the District Champions for the 2017 season. Scott is married to another one of our Heat coaches, Angela, and has 2 children. Jessie is entering her 8th season with Pinellas Heat. She is a native to the area where she attended Largo High School, played for Gulf Coast Juniors Volleyball Club, and continued playing in college for St. Petersburg College. While at Largo High School she was the captain of her senior team where she received the MVP and Gatorade Will To Win Athletic awards for both volleyball and throwing discus for her track team. She also received an honorable mention for the All Pinellas County team and was the third round pick for the Senior All-Star team. She received a full athletic scholarship where she was a starting freshman playing outside hitter. Academically Jessie was in the National Honor Society, Mu Alpha Theta, and sports editor for the yearbook committee. Jessie’s coaching inspiration is her high school coach, without her she would have never found her love of the game and her passion for coaching. 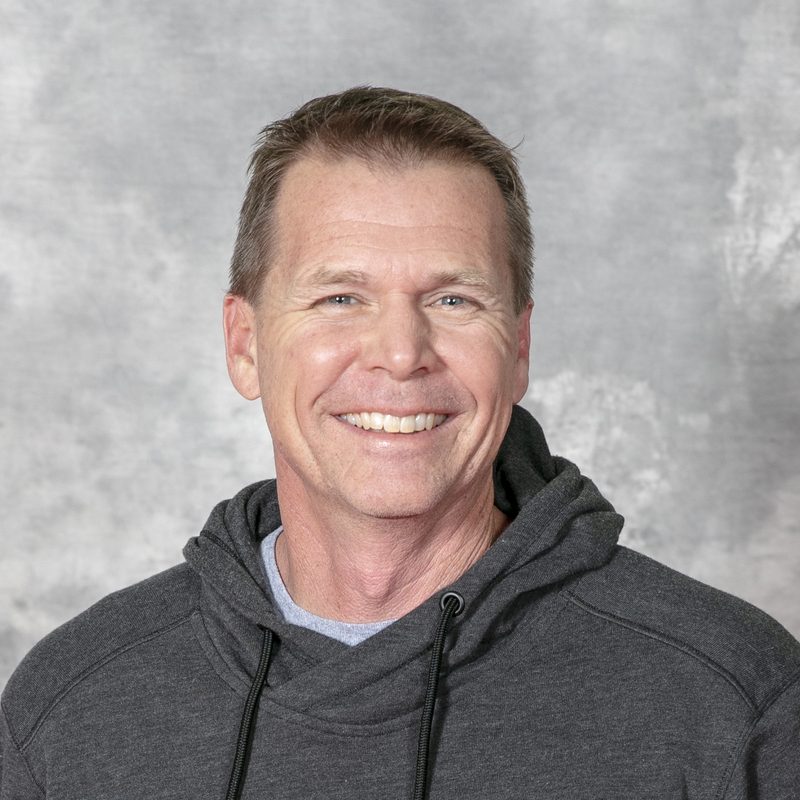 Mark has been coaching with Pinellas Heat since the club started in 2000 and has been the Head Coach at Indian Rocks Christian School since 2003. He has coached mainly the 14-16 Elite teams since 2000 while starting the setter's training serving as the setter’s coach for Pinellas Heat. Coach Foster began his playing career in Puerto Rico at the age of 15 where he was selected to play for the Puerto Rican Jr. National team as a Defensive Specialist (90-92). He continued his playing career in College as a Setter for the Clearwater Christian College Club team (’93-’96). Coach Foster began his coaching career at Pinellas Park HS (’99-’00) followed by CCC (’01-’02) before taking over at Indian Rocks. In his 15 years at IRCS, the program has seven 19+ win seasons and only 3 losing seasons in 15 years. Since the school’s first winning season in 2005, he has led Indian Rocks Christian to 2 District Championships (’06-’07), 4 District Runner-ups (’08-’11), 6 consecutive Regional Semi-Final appearances (’06-’11), 3 consecutive Bay Conference Championships (’10-’12) and has an overall record of 236-120. Coach Foster was selected as the Pinellas County Coach of the Year in 2006 and has seen many of his High School & Club players receive scholarships to play at the next level in various Divisions. Many of his HS/Club players have received multiple accolades in the Tampa Bay area as well as through USA/AAU Volleyball. Coach Foster served as the President of the Pinellas County Coaches Senior All-Star Association from 2006-2015), is IMPACT certified, CAP 1 certified, a certified PAVO College Official (Indoor/Beach), SAFESPORT certified, and BCAP certified. In 2017, Coach Foster started the first ever HS Beach Volleyball Program in Pinellas County at Indian Rocks Christian. In his two seasons at the helm of the IRCS Beach Program, he had led them to a 5-1 Conference Record, a 146-54 Pairs Record, and 9th place (2017) and 5th place (2018) finishes at the SSAC State Championships. He currently serves as the Heat Beach Volleyball Director/Lead Coach. Curt has both playing and coaching experience. He has played for 14 years at various local & national beach and indoor tournaments and his coaching experience extends across 14 years having coached all ages 12 to 18. His club experience includes coaching with Courtmasters, USA South, Tampa Bay One, and Pinellas Heat. He coached with the Academy of the Holy Names, 3 years with JV and 1 year as the Varsity Coach. Kent enters his 9th year with Pinellas Heat as a head coach spanning all levels from ages 11 through 15. Coach Golden is also in his 4th season as JV head coach at Clearwater High School. 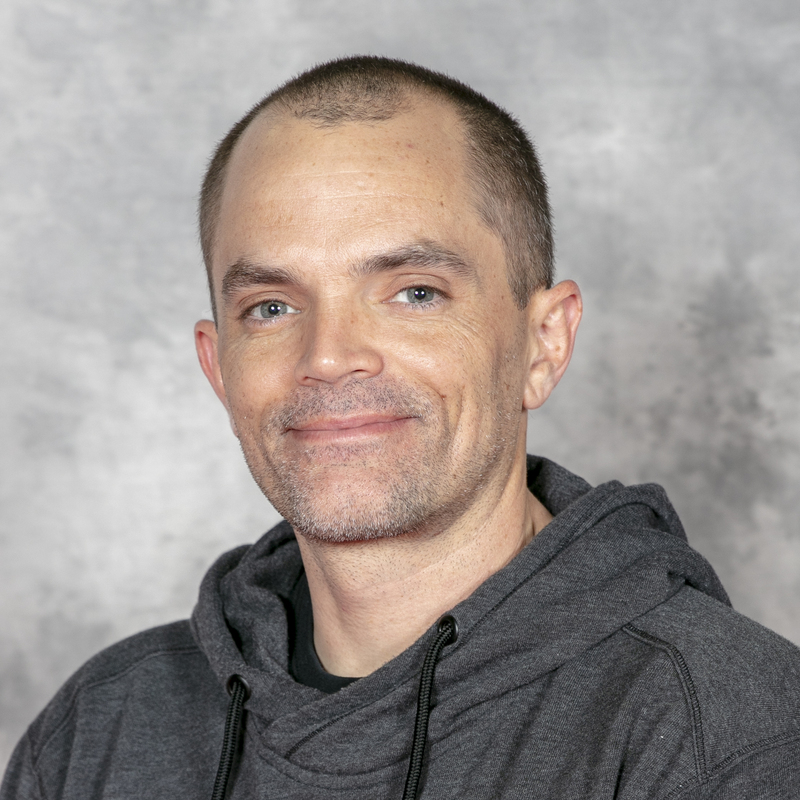 He works hard to teach the fundamentals of volleyball while instilling the love and fun for the game, as well as, developing leadership and team accountability along the way. He is most proud of his track record for preparing his players to make their varsity school team and higher club teams the next season. Wendy is excited to be joining Pinellas Heat this year. She is currently the Head JV Coach at Clearwater Central Catholic. For the past 12 years she has been the Head Freshman Coach at Louisville Mercy Academy, one of the nation’s top high school programs, having won three state championships and one national championship in the last ten years. During her tenure as head coach, her teams amassed over 250 wins. 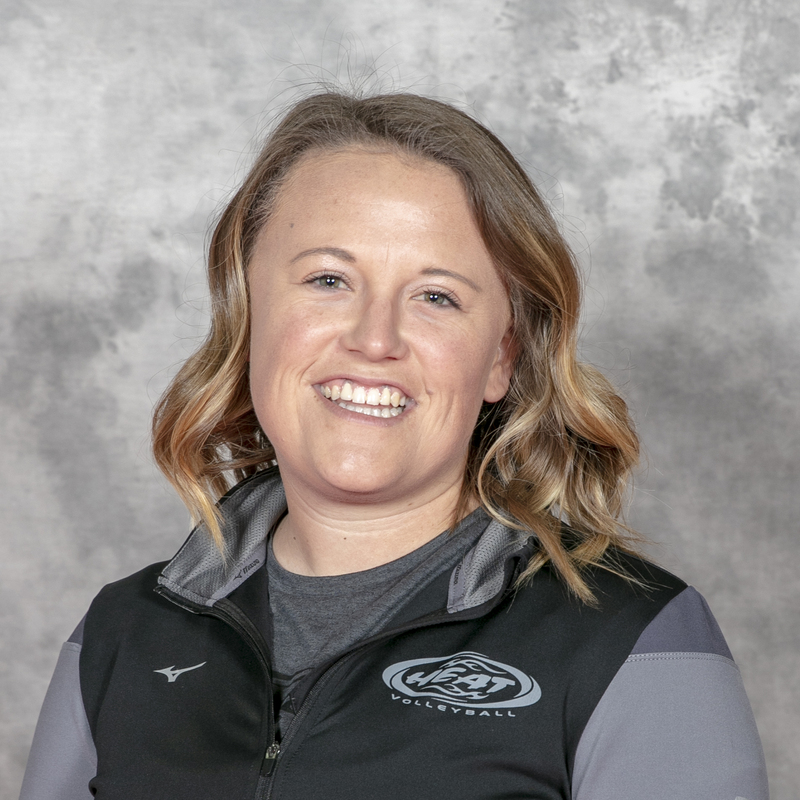 Hensley has also served as head coach at various levels from 10U-14U at Union Volleyball Club in Louisville since 2013 and as the Director of Volleyball at St. Gabriel the Archangel also in Louisville. She is an IMPACT Certified Coach by USA Volleyball. Hensley played at Kentucky Wesleyan College and remains in the top 10 players for Assists, Assists per Set, Solo Blocks, Block Assists and Total Blocks. Hensley played high school at Mercy Academy earning All Region team and First Team Academic All-State honors and played club for Kentucky Junior Volleyball Association (currently named KiVA). Hensley is happily married with three kids. 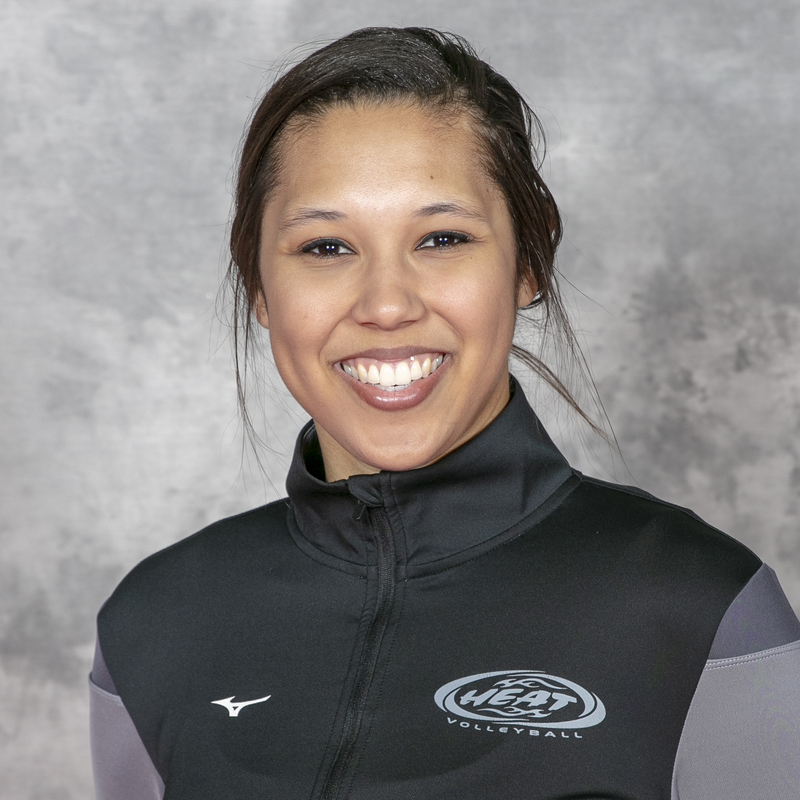 Alisha is originally from Schoolcraft, Michigan, where she was a 4-year letter winner at Schoolcraft High School, earning all-state honors her sophomore through senior year and leading her team to their first ever state championship title in 2008. She continued her career at the University of Georgia, earning two varsity letters and Academic All-SEC. Alisha then transferred to Grand Valley State University to complete her eligibility, and was a team captain her senior year. 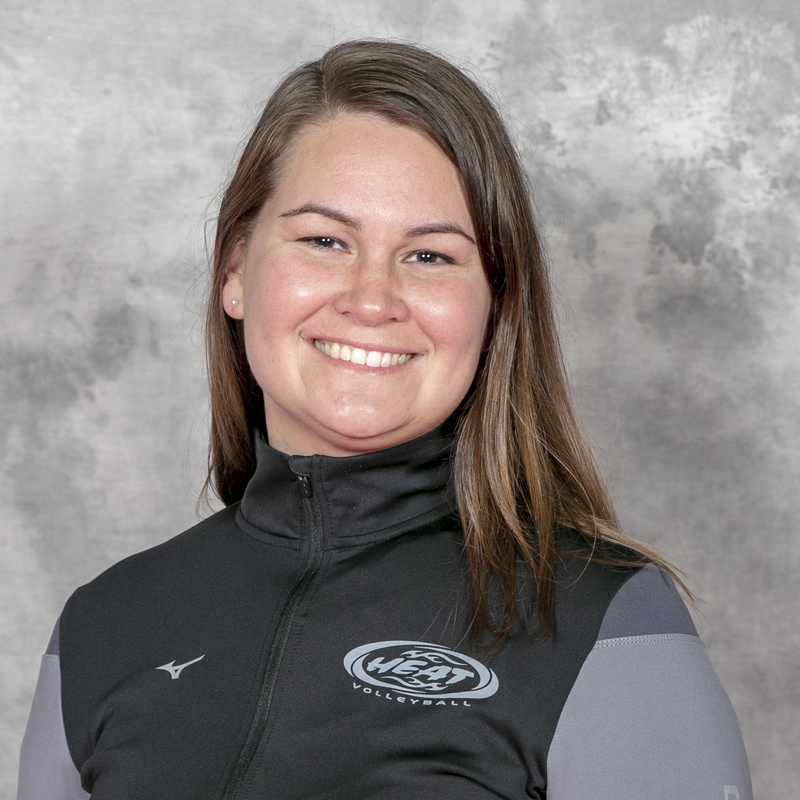 Alisha graduated from Grand Valley in 2014 with a B.S. in clinical exercise science. In 2017, she graduated from Duke University’s Doctor of Physical Therapy program. 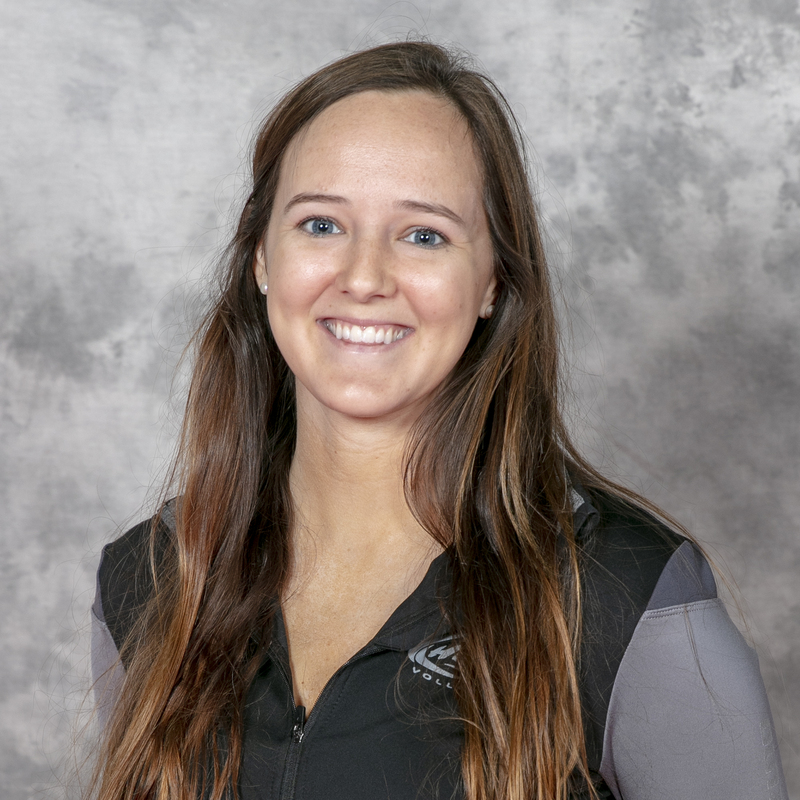 Alisha has been coaching volleyball for the past 6 years, first with Georgia Juniors, then Michigan Volleyball Academy, then NC Elite volleyball club, and most recently with Tampa North Volleyball Club. She is also a Certified Strength and Conditioning Specialist, USA Weightlifting Sports Performance coach, and CrossFit Level 1 Trainer and recently got married! Evan is entering her 2nd year coaching with Heat. She played for Heat from 2003-2008, and was part of the first team (16 Elite) to get a bid to the Junior Olympics. Evan played 4 years of Varsity volleyball as a starter and team captain her senior year at Lakewood High School. She honors include PCAC 1st Team All County, PCAC All-Star team, All-Suncoast, and Co-MVP with her teammate and now fellow coach, Taylor Whaley, her senior year. 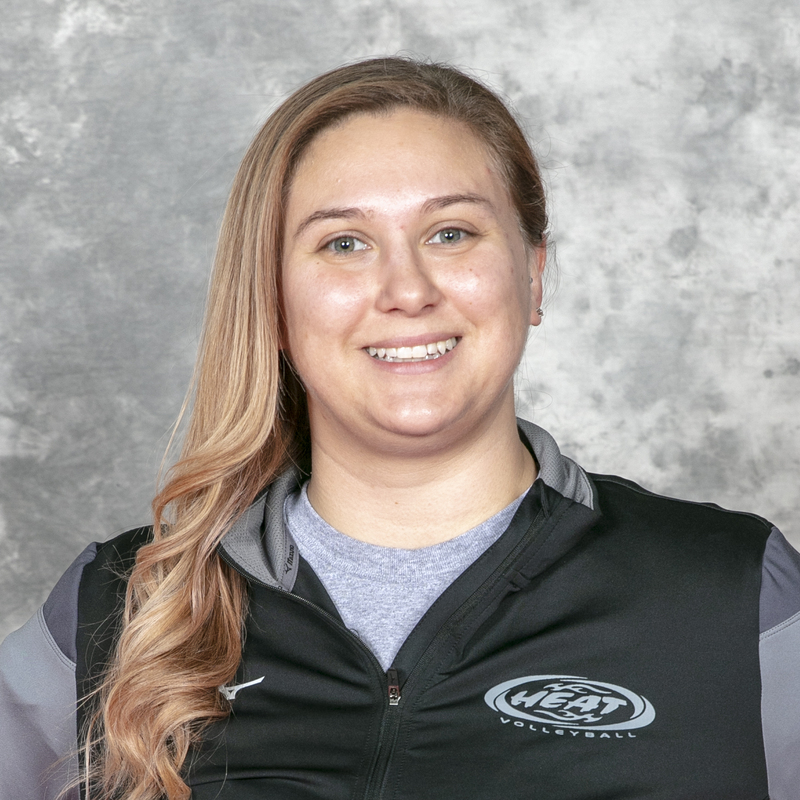 Coach Evan graduated with her Masters from Florida International University in 2016 and is currently the Head Athletic Trainer at Largo High School. Kim has been playing volleyball since she was 10 years old. Kim grew up on the East Coast of Florida, and spent her high school years playing on the Varsity Volleyball Team at Lake Worth Christian School. She played all the way around as a hitter and a setter and was team captain her senior season. During her time at LWC, the team was state runner-up, regional finalists, and regional semi-finalists. She also played for the Elite Travel Team of Palm Beach Juniors Club-4-U from 2005-2007, where she won countless tournaments and traveled the country. Kim earned a full-ride scholarship as a hitter to play at Gulf Coast State College in Panama City, Florida and she spent her freshman year playing there. For her sophomore year of college, Kim returned to West Palm to play at Palm Beach State College under her old travel coach, Sam Skelton. Sadly, she suffered a season ending shoulder injury that also ended her playing career. 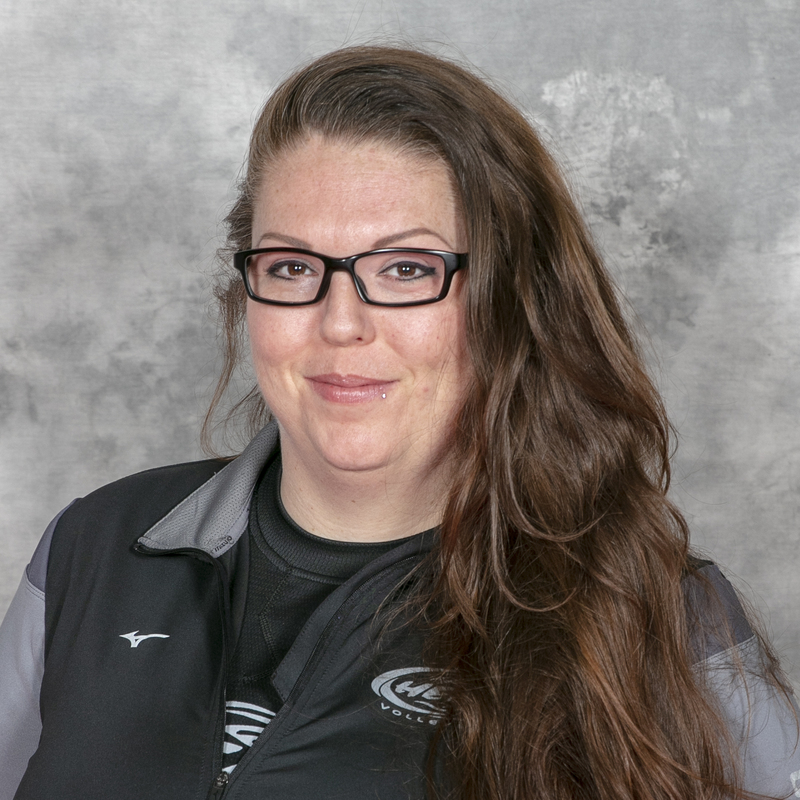 Coach Kim is now going in to her 6th year of coaching for Pinellas Heat, but she discovered her love for coaching in high school while assisting her school with camps and clinics over the summers. 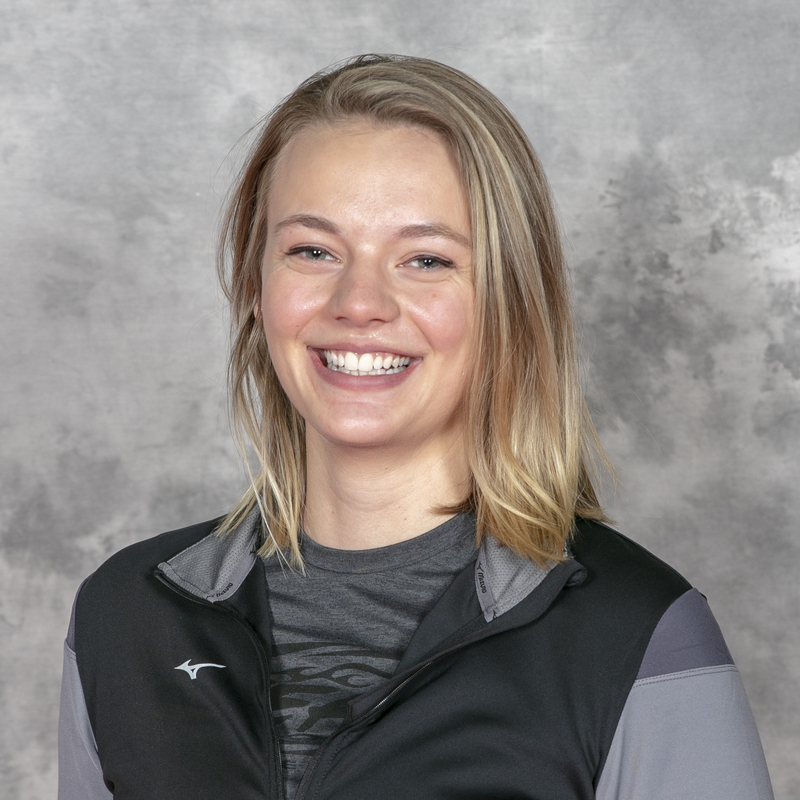 Along with coaching mini and regular club seasons, Coach Kim coaches position trainings, summer camps, and does private lessons here at Heat Volleyball. 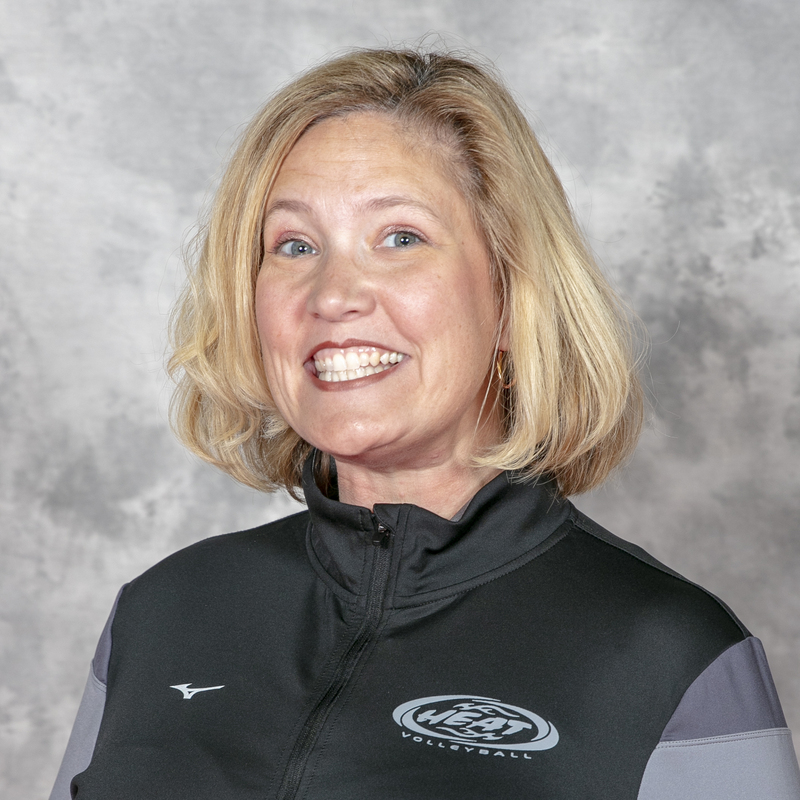 Coaching is Kim’s passion and she looks forward to the many years ahead of her as a Heat Volleyball Coach. Susan is entering her 2nd season with the Pinellas Heat. 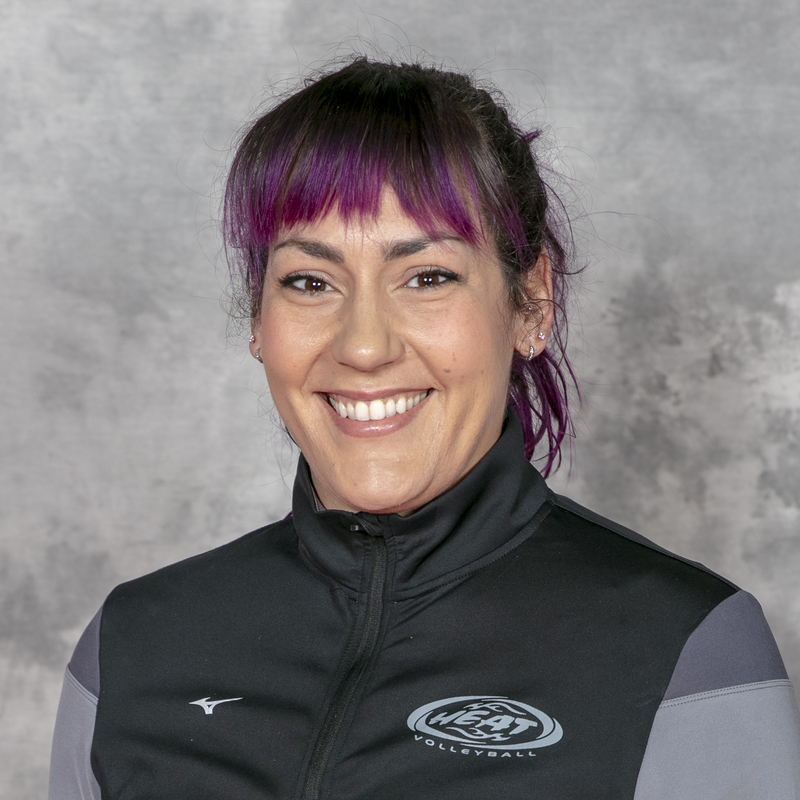 She relocated from New Jersey in 2017 and has fifteen years of experience coaching High School Varsity, Club, and College as well as working as a tryout coach for High Performance Teams in both New Jersey and Florida. Her experience also includes directing and/or working at a long list of summer camps and clinics. Her past awards include Sportsmanship Award, Coach of the Year, Team of the Year and Sussex County Cup Champions. She has two adult children, Kathleen and RJ. Nanette is in her first year coaching Pinellas Heat. She was originally from Michigan where she grew up in a long line of family athletes that started her playing sports by the age of 5. She played competitive Varsity fast pitch softball and Varsity basketball from the age of 14 as well as playing volleyball during that same time. After high school, she spent 4 years in the US Army during Desert Storm where she had her daughter. She continued her love of sports by coaching young children to learn the fundamentals of the sport as well as teaching teamwork, leadership and sportsmanship. 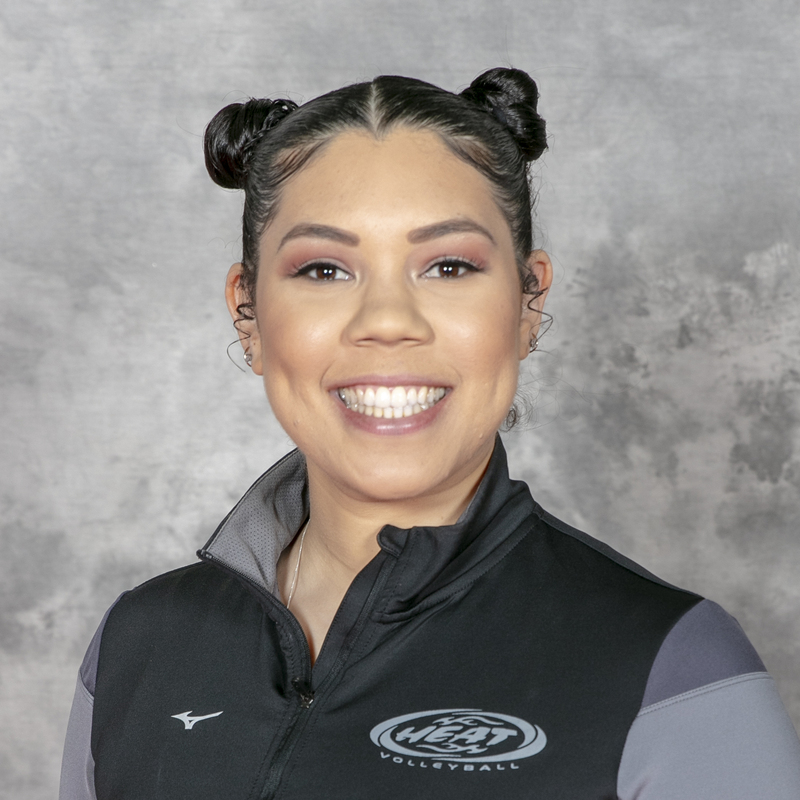 She is Safe Sports and IMPACT certified by the USVA and looks forward to continuing her passion to keep growing kids into well-rounded athletes while coaching at Pinellas Heat. Makayla played for Pinellas Heat for 5 years. She is a multi sport athlete and has excelled playing both softball and volleyball. She pursued a collegiate career having played 4 years at Lindenwood University- Belleville in Bellville, Illinois. This is MaKayla's 2nd year coaching with Pinellas Heat. MaKenzie started playing volleyball in 6th grade at Carwise Middle under the direction of Matt Little where they won districts all three years. That same year, she began playing club volleyball with Pinellas Heat’s 12 & Under team and continued to play with Heat through her 18’s year. Her 14’s year, her team qualified and participated in Junior Olympics in Reno, Nevada. She attended East Lake High School where she played JV her freshman and sophomore year (Captain) and Varsity her junior and senior year (Captain). She was named the 2010 & 2011 Defensive MVP and the Suncoast Athlete of the Week. She is attending St. Pete College and majoring in Elementary Education. You will see her on the sidelines and also behind the front desk at Athletic House, where she has been helping Pinellas Heat immensely since 2013. This will be her 4th year coaching with Heat. Rachel has played volleyball for Heat since she was a 12U player. She continued to excel at Carwise Middle School and on to East Lake High School as a starting Freshman Setter where she went on to win 2 State Championship’s with the Eagles, 2010 Class 5A and 2011 Class 8A. She was named to the All-State team in 2011 and the All-District team from 2009-2011. Her high school accolades include: team captain in 2010 and 2011, MVP in 2011, Bright House Sports Network Honorable Mention, MaxPreps AVCA Player of the week twice, Knology Cup Athlete of the Week, played on the Pinellas County Senior All-Star Team, Pinellas County Athletic Conference-First Team All County, State All-Star Team, Coaches Association District 8A Player of the Year and St. Pete Times 2011 All-Pinellas County Co-Player of the Year. Her club accolades include: being a member of the Big South Qualifier Championship Team and Baltimore Northeast Qualifier Championship Team. She attended Lipscomb University in Nashville, TN on volleyball scholarship. She is currently the Assistant Varsity Coach at East Lake High School. This will be her 5th year coaching with Heat. Sara has played volleyball for over 12 years starting at Carwise Middle School and here at Pinellas Heat. She played four years on the varsity volleyball team at East Lake High School under Terry and Barb Small where she was named, captain her junior and senior year, All-Pinellas County First Team selection as a junior and senior, Class 5A All-State Honorable Mention as a senior, played on the Pinellas County All-Star Team, and was a three-year member of High Performance Team Florida where she was named captain of the team in her final season. She continued her career in Orlando at the University of Central Florida as a middle blocker being ranked in the Conference USA’s top 20 blockers in 2009 and named captain in 2010. This will be her 9th season coaching with Pinellas Heat. Stephen is the Varsity Volleyball Coach at Clearwater Central Catholic High School. In his 8 years at CCC, the Marauders have compiled a 160-54 record. He has led them to 4 District Championships (’11-’14), 3 Regional Championships (’12-‘14), 3 Final Four appearances (’12-‘14) and the 3A State Championship (’14). He has been named FACA 3A Coach of The Year (’11, ‘14), St. Pete Times Pinellas County Coach of The Year (’12, ‘14) as well as St. Pete Times Suncoast Coach of The Year (’12, ‘14). His players have earned awards including Atlantic Sun All-Freshmen, ACC All-Freshmen, St. Pete Times Tampa Bay Player of The Year (2), Pinellas County Player of The Year (3), All-County, All-Suncoast, All-State, Academic All-State, FACA Player of The Year (2), Florida Dairy Farmers 3A Miss Volleyball as well as multiple All-Tournament teams. Stephen is CAP II certified through USAV and is working on his CAP III certification. Stephen is also a member of the Pinellas County Coaches Association. This will be his 12th year coaching for Pinellas Heat. Stephen has been teaching PE/Social Studies at Clearwater Fundamental Middle for 14 years. He is married to Trista Shepherd with whom he has a daughter, Skylar Marie, and a son, Reid Stephen. Patrick is in his 16th year coaching with Pinellas Heat. Patrick is in his 14th year as the Head Varsity Volleyball Coach at Tarpon Springs High School as well as the Head Track coach. Patrick’s Varsity Volleyball team were the District Champions in 2011, 2012, 2016, 2017 and Regional Finalists in 2017. In 2011, Tarpon Springs won the Regional Championships making it to the State Final Four. Patrick has also been voted Pinellas County’s Coach of the Year by his peers and was named the Tampa Bay Times Coach of the Year for 2011 and 2017. In 2008 Patrick’s 13 Elite earned a bid to compete in the Junior National Championships in the 13 American division and was the first coach in Heat history to win a match at Junior Nationals. In 2018 Patrick's 13 Elite team finished 1st in the American Division at the Big South National Qualifier qualifying to compete at Junior Nationals in Detroit, Michigan. Patrick is also our official club photographer with his business Photography is Good. Patrick is known for great action shots and amazing photos he takes while on his yearly Sneedcations. Cody is in his first year coaching with Pinellas Heat. He is originally from Mustang, Oklahoma and has been playing competitive sports since he was 5 years old. He played 4 years of college baseball at Bellevue University in Omaha, Nebraska, he is currently getting his personal training license, and still plays sports competitively today. He is very excited to start with Heat this season. 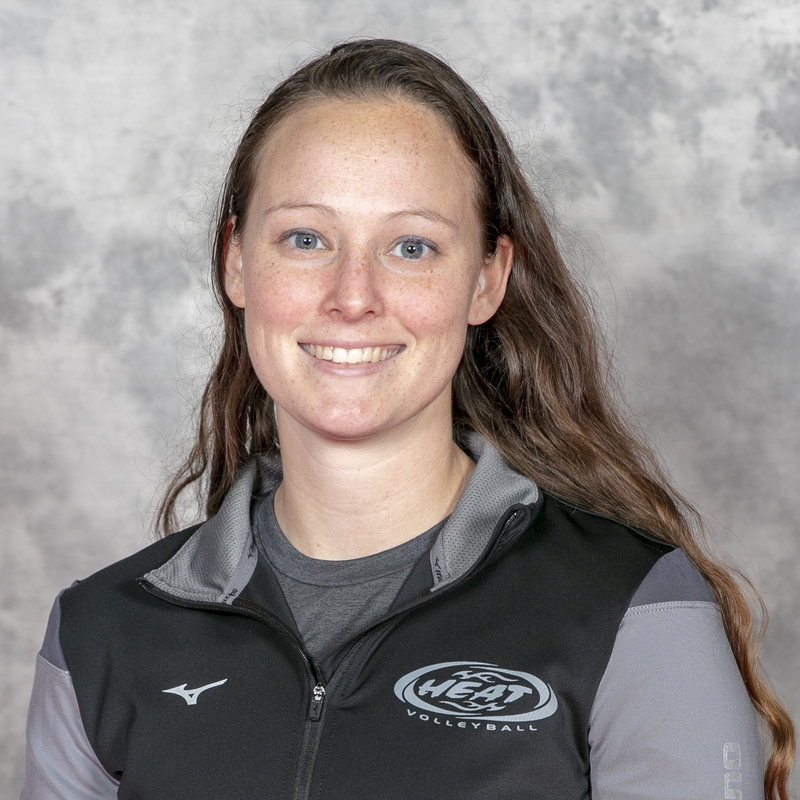 Karly is entering her 4th year at Pinellas Heat but her 12th year coaching club volleyball. She has been involved in the sport since she was twelve years old. In high school she played setter her freshman and sophomore year then changed to libero her junior and senior year. Karly started her coaching career at the age of eighteen with Whitesands Volleyball club of Sarasota and coached for them for three years. Moving to Tampa she coached for Synergy Volleyball Club of Brandon for additional four years having very successful teams. Karly is CAP I /IMPACT certified and looking forward to her time at Pinellas Heat. Colin is entering his 3rd year coaching with Pinellas Heat but has been with our Heat family for awhile now. He has coached youth sports at the middle school level for many years. His daughter started her volleyball career at Pinellas Heat in 2013. He is IMPACT certified by USAV. Berkley started her volleyball career playing at Pinellas Heat until she committed to play at the University of Florida. She transferred to UT and was also part of the university’s volleyball team. She spent three seasons with the Spartans becoming one of their most decorated athletes to ever come through the program. Some highlights include, leading the Spartans to a National Championship Title in 2014, being named Division 2 National Player of the Year, and being recognized as the Sunshine State Conference Female Athlete of the Year twice. Additionally, Whaley ranks second in program history in career kills per set with 3.97, ranks third in program history in career reception percentage (.966), ranks ninth in program history in total kills with 1,350 across just three seasons as a Spartan. Berkley now works for General Dynamics Ordnance and Tactical Systems on their marketing team. Taylor has played volleyball for over 16 years starting at Bay Point Middle School and here at Pinellas Heat. She played four years on the varsity volleyball team at Lakewood High School under Sean O’Flannery. She qualified for Junior Olympics 3 years in a row with Pinellas Heat and was a three-year member of High Performance Team Florida. She continued her career to Eckerd College as an outside. This will be her 2nd season coaching with Pinellas Heat and 8th year coaching club.